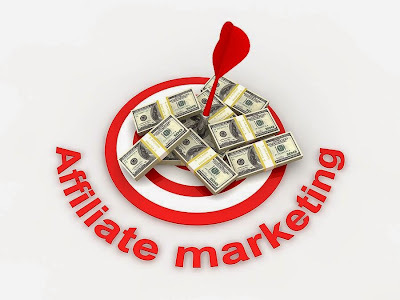 Affiliate marketing is one of the commonest ways to monetize a blog. Like adsense, it allows webmasters to make money from their websites without requiring them to create products of their own. However, affiliate marketing has changed over the last few years. Google, in particular, have made it difficult for webmasters to relyon older, one-dimensional strategies. In this article, we’ll look at how you can monetize your blog as an affiliate and pass muster with Google as well. First, let’s start with what you can’t do, at least not any more. There was once a time when affiliates could put up the most basic website, upload no original content, add no additional value and still make money. This time has passed. Google are making a real effort to purge the search results of “thin affiliate” content. If a webmaster or affiliate offers nothing over and above what the merchants themselves provide, that webmaster/affiliate has no business in the Google search engine. So, How can an affiliate add value? What must he (or she) do to create a blog that not only generates commissions, but also ranks well in the search engines? It should be clear that affiliates must have more than just affiliate links and banners on their site. But what else should they provide? Let’s consider a couple of options. The first thing an affiliate can do is write a genuinely helpful review of what ever product (s)he is promoting. This will have to be detailed and informative. In addition, it will have to go further than the reviews provided on merchant sites (for otherwise it won’t be adding any extra value). One way to do this is for affiliates to actually buy and use the product so that they can then write from their own experience of it. Another approach isto provide a summary of what the majority users think of a product. This can be helpful for users since the majority opinion is often an excellent guide as to a product’s quality. Apart from writing a review, what else can an affiliate do to add genuine value to users? One great alternative is to offer price comparison. Most merchants won’t do this. They tend to present only their own prices, so as to encourage visitors to buy from them and not from someone else. A good affiliate, on the other hand, can show users how much a product costs at several different vendor sites. This can be extremely helpful. If you were looking for a digital camera, for example, you’d probably like to see a number of different offers.Instead of landing on a merchant site that displays only one price, you could benefit from an affiliate blog that gives you access to many. And then it becomes a whole lot easier to find what you’re looking for at the very best price. So we’ve considered two things affiliates can do to monetize their blogs whilst remaining in Google’s good books. It’s safe to say that it will be futile and unsuccessful to plaster your blog with affiliate links whilst offering nothing valuable to the user. Those who wish to make money by promoting another merchant’s offers should, therefore, consider one of the alternatives. Writing a comprehensive review will undoubtedly take some time. But it will ultimately pay dividends. For those who are short on time, the “price comparison” approach might be a good one. Fortunately there are various plugins for wordpress that provide price comparison functionality even for technophobes. One other benefit should perhaps be mentioned. The longer and more comprehensive your review (or price comparison) the more likely you are to attract “long tail” traffic.If you can include all sorts of variants of the product name and mention various accessories as well, you stand a much greater chance of increasing traffic to your blog and making more money in the process. Simply put, thin content will get you no where. The more you can offer the user, the more the search engines will reward you. And that not only means more traffic, but more conversions as well.